Whether considering converting your fleet to Hybrid Electric Vehicles, Installing Solar or Wind Generation, or seeking to simply decrease your load on the grid, ICG can help analyze , plan, and execute energy efficiency initiatives or decrease your carbon footprint to make your company sustainable for the long haul. A sustainability program is a requirement in today’s economy due to the triple bottom line of environmental, economic and social impact. We can help you develop a plan that meets your company’s needs. Your company can save money introducing systems that decrease your dependency on the energy companies. 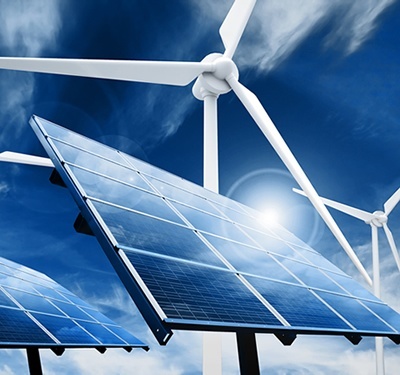 Advances in power generation efficiency like Scuderi Generators, Wind Turbines, and Solar Panels have brought costs down, making alternative choices available to businesses looking to save. A small investment in your power infrastructure today could pay huge dividends down the road when you buffer from fluctuations in the energy market tomorrow. The economics of energy efficiency is well documented – reduced costs add to the bottom line. A sustainability initiative will improve your competitive ability in many ways. A sustainability program plays an essential role in increasing brand recognition and profitability no matter the size of your company. Consider companies such as Google, Walmart, Nike, Amazon and Alcoa, all of which increased their market share because their customers demonstrated increased loyalty.